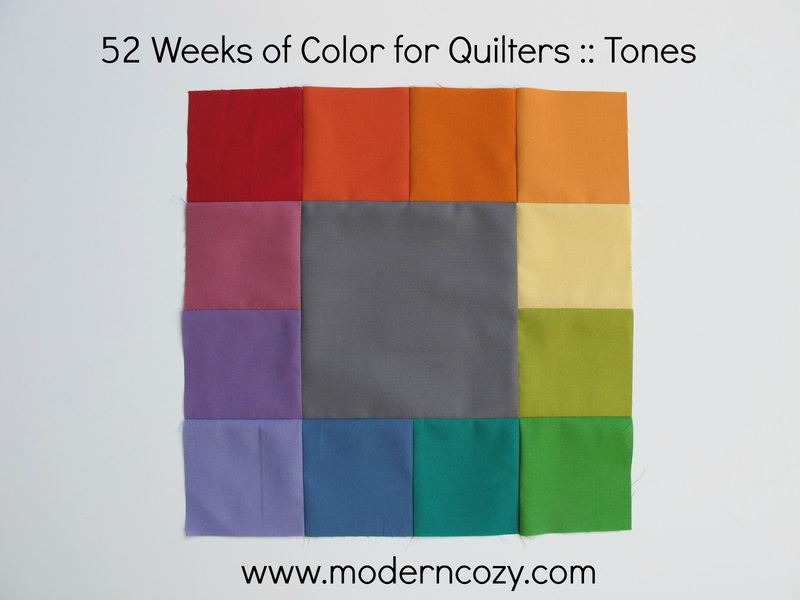 Happy Friday and welcome to the Stash Modern Fabrics Kona Blog Hop! I have absolutely fallen in love with solids and I was over the moon when I learned that Stash was going to be carrying ALL 303 colors of Kona Cotton in their shop. It is beyond convenient to be able to order everything I need from ONE place. Stash has always had super fast turn around and free shipping on orders over $50 so I shop there anyway but the fast that I can get every single Kona from them makes me way happier than it probably should. I just love the color range and consistency of Kona Cotton and I'm using them so so many projects lately, including my 52 Weeks of Color Project. So when Beth contacted me a few months ago with the invitation to create my own custom bundle and be part of the Kona Blog Hop I was thrilled! My colors are an updated take on the classic summery red, white and blue palette. 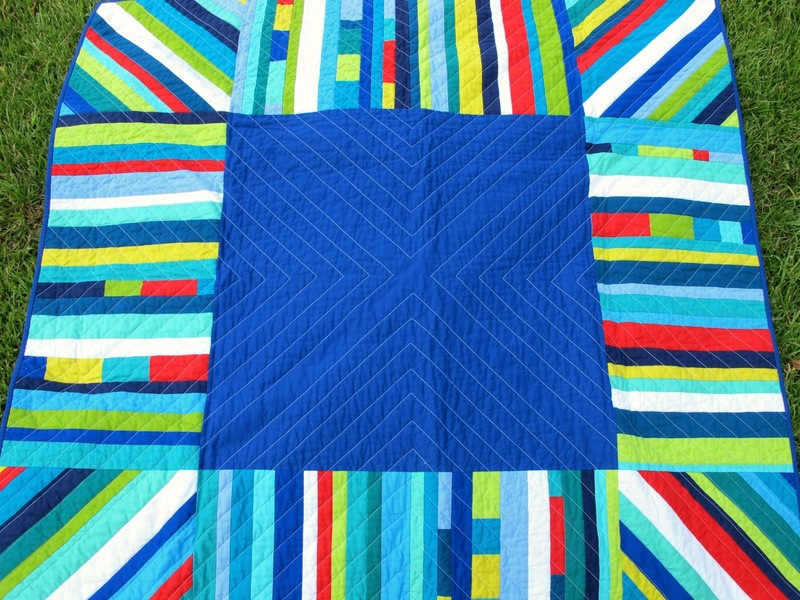 I added a range of cool blues and blue green with pops co citron and red orange and I am so in love with these colors. If you've been following me here or on Instagram you probably already know how much I love string quilts too, so it just seems natural to combine the two in a new quilt design. How ridiculously perfect is this backing I found at Hancock's?! So summery and the exact right colors! 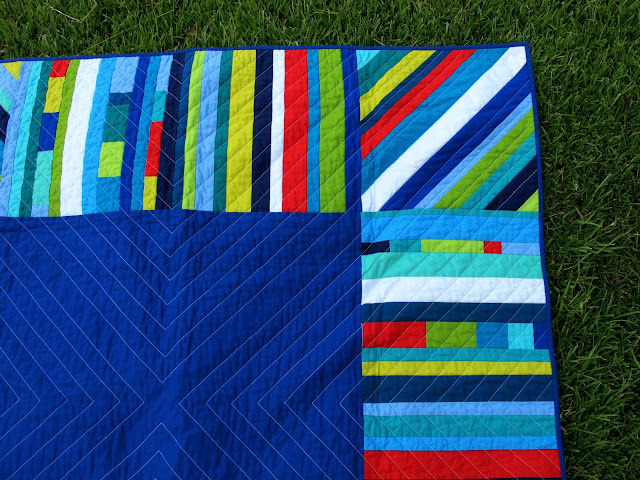 So let me share what fabric you'll need and the process I used to make this quilt! And this really is more of process than a pattern - there are a lot of little ways to change things up and make it your own. Lets pretend that I took photos of my process as I was making the quilt and didn't whip through it in a frenzy of color delight and realize AFTER the whole thing was quilted that I'd taken not. one. photo. DOH. If you have any questions please don't hesitate to ask and I'll be sure to help! I cut all my FQ's into strips the same way as shown in the photo above - you can 3 strips EACH measuring 1.5"x22, 2"x22 and 2.5"x22". If your FQ's aren't perfectly straight and you end up with a strip that a different width at the end don't worry, as long as they've been trimmed straight they'll work and just add a little variety. Sub cut Kona White into FOUR 2.5"xWOF strips - you'll use these for the center strings on all four diagonal blocks. Sub cut muslin into TWELVE 15.5" squares. 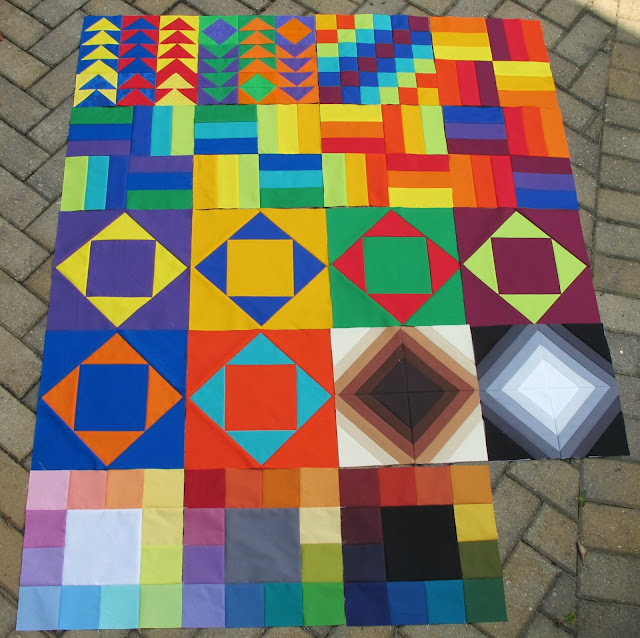 Center solid square will be 30.5" and you'll need SEVEN 2.5"xWOF strips for binding. String Blocks: You'll need TWELVE total - 4 diagonal, 4 straight and 4 straight with improv strips. If you've never made a string block I have a tutorial here that shows the whole process. I made my diagonal blocks first. SAVE all the little end bits after your trim your blocks! Next I made my four straight blocks - I started with a white strip that was off center and lined it up with the lines on my cutting mat to keep them straight-ish. For the last four blocks: I joined all little bits and pieces into long strips and then added them for some visual interest. I think it adds a nice little pop with overwhelming the design that already has a lot going on! Straight block with improv strips - my strips hung off on all four sides (just like the diagonal blocks) and needed to be trimmed before assembling. 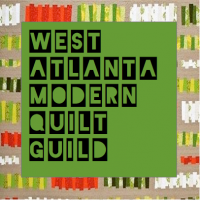 I feel so lucky to be included in this amazingly talented group of makers - be sure to check out all the stops and see what these guys create because it's going to be GOOD. You can find all the blogger bundles right here at Stash Fabrics. Beth generously provided me with a bundle to wrk with for this project but all opinions about her shop are my own! 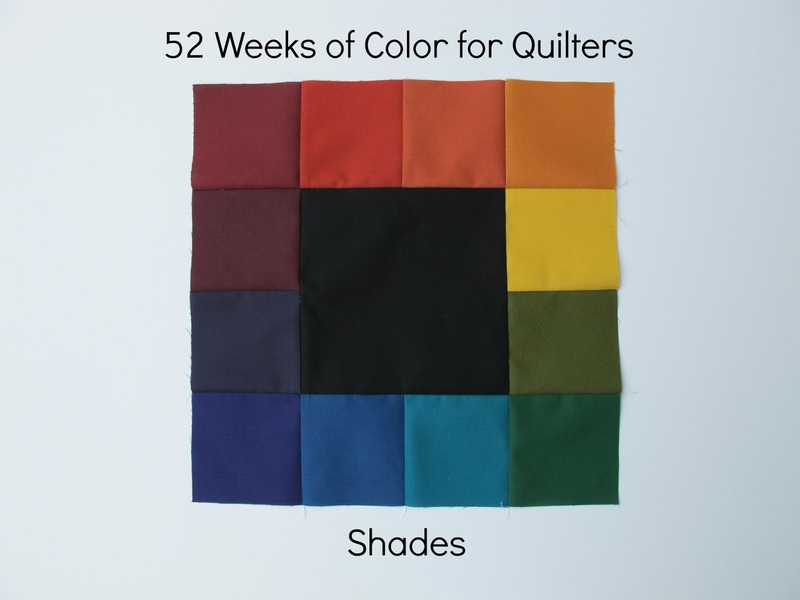 You can also join in the Stash Fabrics Kona of the Month club that's starting in September and if you sign up before 9/1/15 and stay in for a year you'll also be getting a Kona Color Card with your 12th shipment - score! 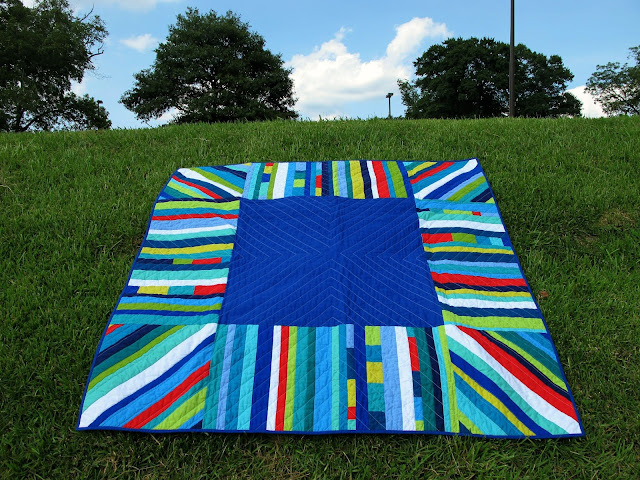 I'm also linking up with Crazy Mom Quilts for Finish It Up Friday. 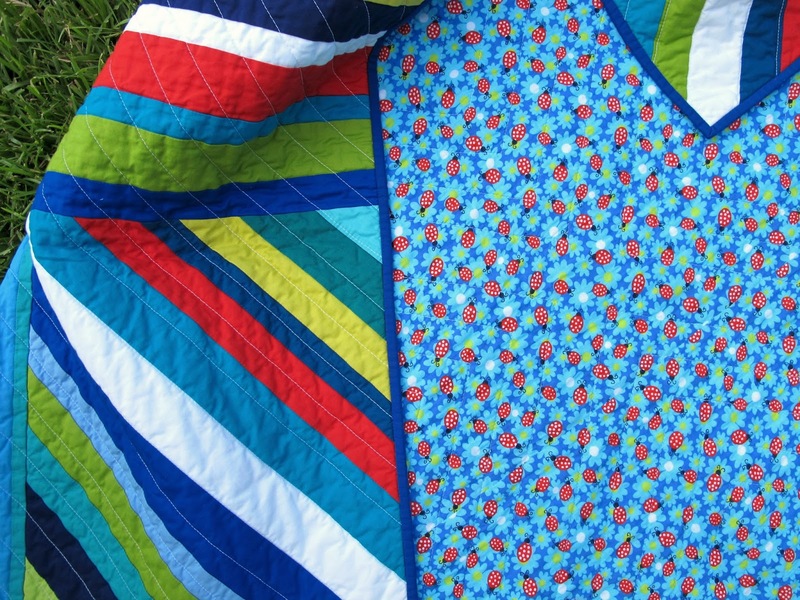 Thanks so much for stopping by and if you try my pattern I'd LOVE to see it! Hi there and welcome to another week of color fun! So up until now we've been using Pure Colors (these are the truest example of the color) for our discussion and examples but now we're going to branch out and include some more color variations. 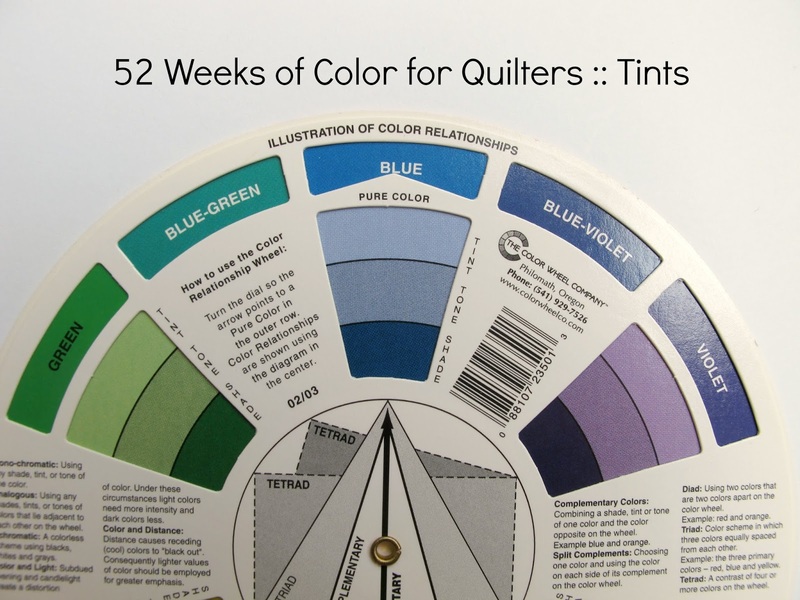 The photo above shows the back of the color wheel I've been using and the Pure Color is at the top followed by tints, tones and shades. We're starting at the top with tints and working our way down over the next few weeks. 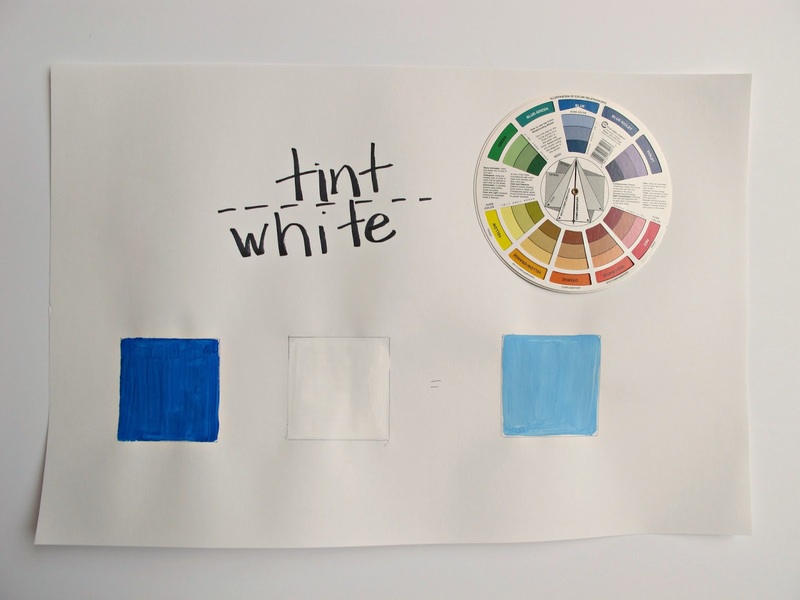 A Tint is any color plus white. So pink is a tint of red and baby blue is a tint of blue and lavender is a tint of purple. 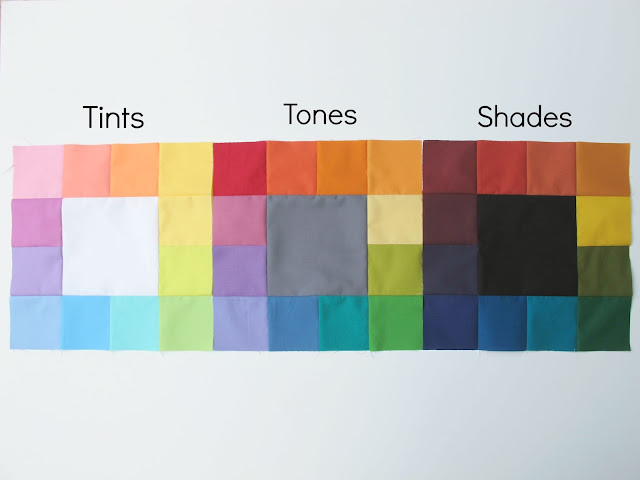 Most people use the word "pastel" to describe tints. The more white you add the lighter the tint, the less white the darker. I used to help my little kids remember which color you added to create a tint by pointing out that Tint and White both have an "i" in them! Here I've placed the True Colors on top of the Tints so you can see the difference! Tints are softer and "quieter" than True Colors. 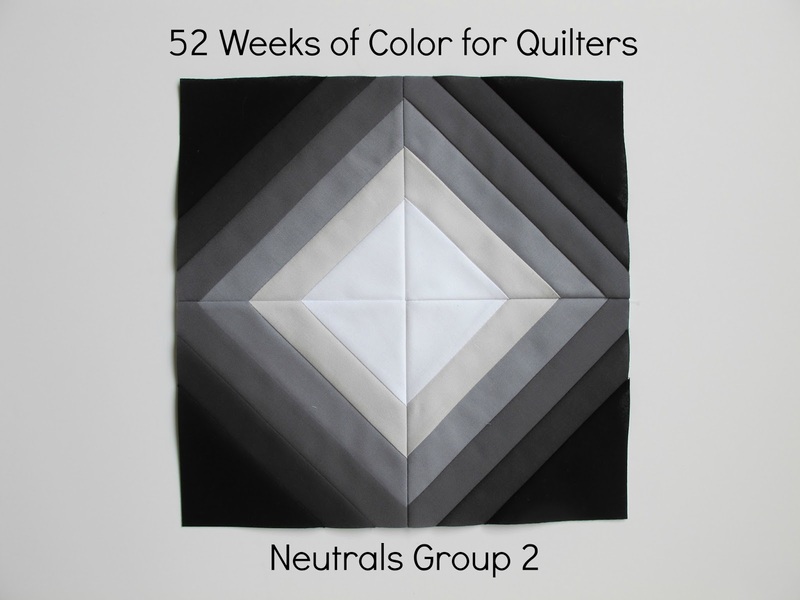 My block for this week has a center square of Kona White (6.5") and the 12 tints that correspond with the color wheel around the edges (3.5" blocks). This block is 12.5" unfinished. Welcome back! This week we're talking about the other Neutral Colors (and I'm sure you already knew them) black, white and grey. Even though these colors aren't on color wheel in this form they are vital to mixing different colors and we'll talk more about how important they are in the next few weeks. Black and white are like the Primary Colors in that you can't mix any two colors together to create them, you just have to have them. When I was in school we were taught that black is the absence of all colors and white is the presence of all colors - which seemedcompletely backwards to me. Merriam-Webster defines black as the achromatic color of least lightness characteristically perceived to belong to objects that neither reflect or transmit light and white as the achromatic object color of greatest lightness characteristically perceived to belong to objects that reflect diffusely nearly all incident energy throughout the visible spectrum. Phew. Did I lose you? I think I lose myself when I read stuff like this! It's amazing how much science there is to color. BUT lets keep it simple. 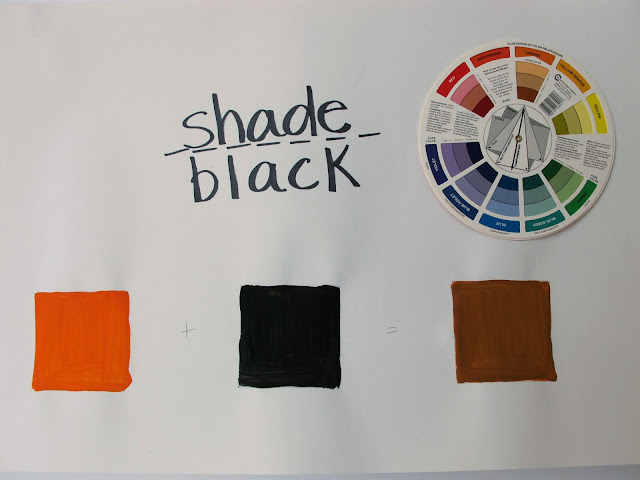 Black and white are neutrals, meaning they have no color temperature. Black is the darkest color and white is the lightest. 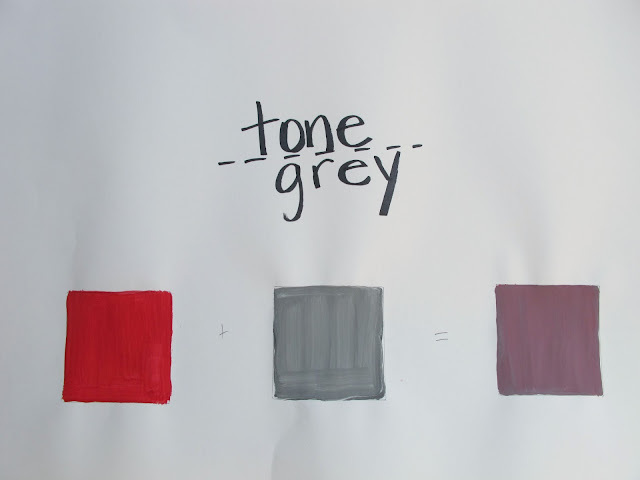 Greys are mixed by combing black and white in different amounts. These neutrals are also the key to creating tints, tones and shades. That makes more sense doesn't it? So last week we talked about browns, beiges and creams as Neutral Colors and this week we've added black, white and grey. In theory these colors have no color temperature, they're not warm or cool but in the real world they almost always do have a warm or cool aspect, which I'm sure isn't news. We've all see browns that seem really orangey and warm and greys that seem so cool they're almost blue or violet. 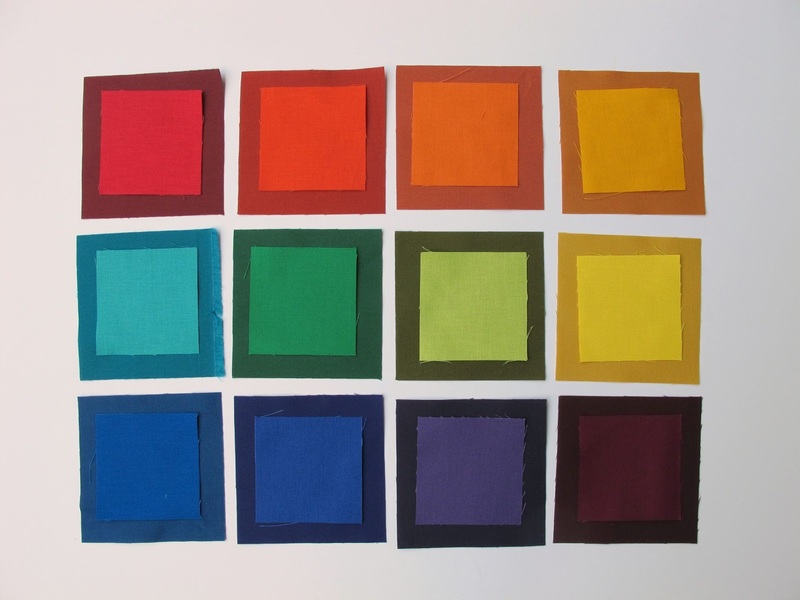 These are colors that generally blend in or are used for background colors. Next week I'll show how black, white and gray look when you start mixing them with another color! This week I have a photo heavy but lightly worded tutorial on how to make a string block with the strings centered in the middle. 3.5"x6' 1.5"x8" 1.5"x10" 1.5"x10" 1.5"x8" 3.5"x6"
You will need FOUR 6.5" squares of muslin for your foundation squares. 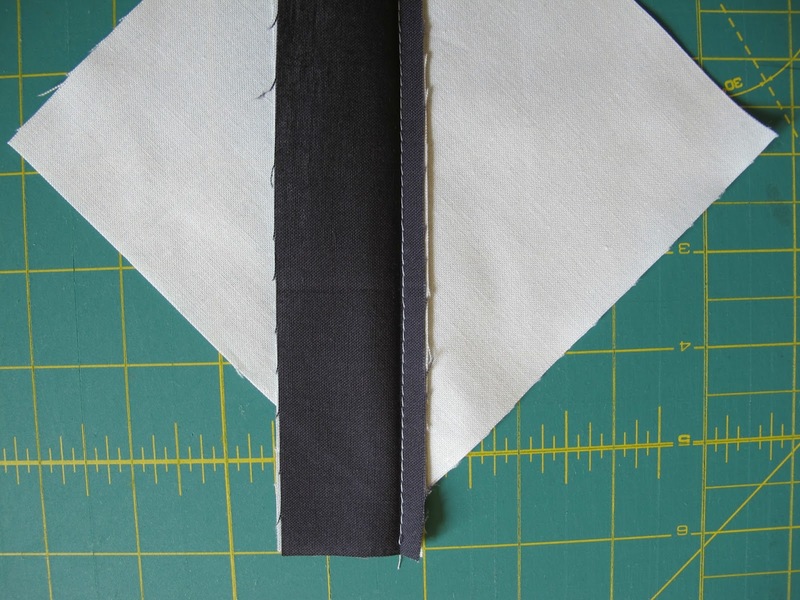 Fold them diagonally and finger press to get a straight line going from corner to corner. Now make a line 1/4" from the crease you just created. See that line? That's where you'll line up your first two strips. Line up both colors middle colors against the line you just drew, one on top of the other. You can pin if you're worried about them shifting but I don't. Sew along the edge that is lined up on the pencil line with a 1/4" seam allowance. Press open. From the back you can see that you really just sewed right along the creased line in the middle! Ta-da! Centered strings! (and these colors don't match the color set in the first photo because I took very detailed photos of lining the strings up on the crease instead of the drawn line my first go-round. Doh. So the directions here are correct but refer to the first photo for the correct order of the colors). For the remaining strings (strips) you lay them on top and sew on the outside edge, then press open. Strips on left side get sewn along the left edge and on the right side they get sewn on the right edge. Flip over and use your foundation squares as a trimming guide. Repeat four times, play with arrangements and sew together to make your block!